^ Damn, that makes some of us want to a take photographs of the part that we are told not to photograph. That is an old style camera in the sign. I don't think this sign was made in 1920. Perhaps it means, "No photography with old cameras"? I kind of liked these. By the way, this one does not seem to follow the curve of the vehicle where it should. The Asmo, He suspects trickery of some sort, and He shall figure it out, is what He shall. I need one of these, but in the plural form as in "Children". 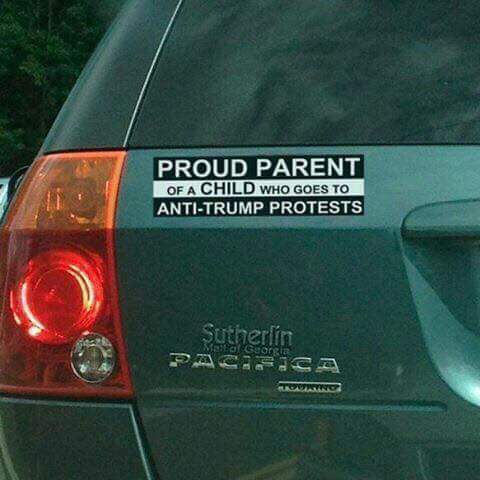 I want one of those stickers. The auto appears to be from the state of Georgia where that sentiment is widely taken as an affront. I do not live in Georgia, so maybe my tires would not be slashed. Tell me at first glance you didn't read the first word a bit differently? If it's true that it deosn't mttaer in waht oredr the ltteers in a wrod are, the olny iprmoetnt tihng is taht the frist and lsat ltteer be at the rghit pclae then it would make sense that you read that word differently, but still, it could've been that you saw what you wanted to see. Now that you mentioned it I noticed that in the second word a letter is missing. I think you can even substitute 25% or more letters with sring letters or random symbols and it remains readable. Edward de Bono played a bit with this sort of thing. Of course, this is demonstrated when I do not carefully edit my posts! I also noticed the "misspelt" second word. Whose dictionary are we using to call foul on the spelling of the second word?... Sim-u-la-tion:noun 1. the act or process of simulating (sp)..... 2: an imitation. 3: the assumption of a false appearance. My spelling checker thingy is OK with the poster's spelling of simulation. .....................Have I lost it here? Quite possible of course.. Help please. It must be because I have a dirty mind. The spelling is correct, I just imagined another letter in the word, making it another word entirely. I echo Silver's comment - "Stimulation" is visually close and enhances the "mistake"! 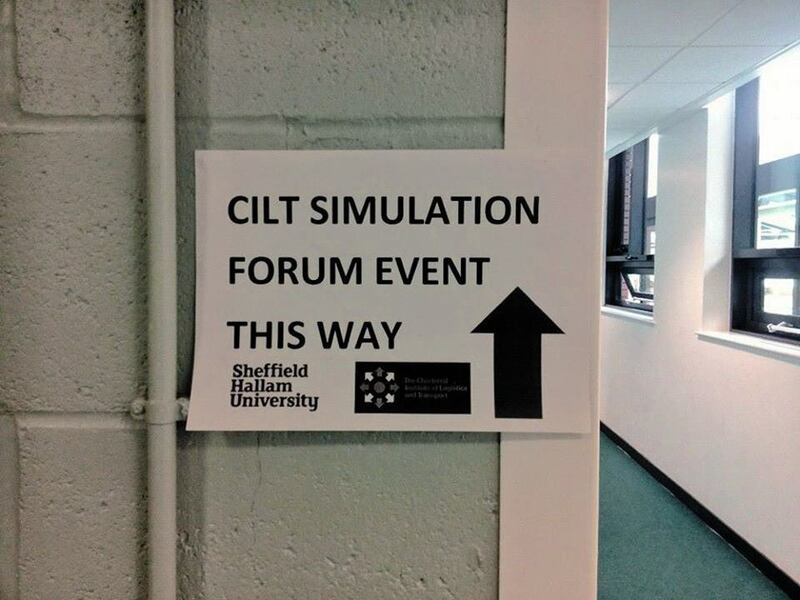 But how do we know if it's stimulation or simulation? These are important questions. CILT is an acronym for "Chartered Institute of Logistics and Transport". A professional group concerned with the promotion of simulation and modelling as a powerful means in the analyses and optimisation of transport and logistics processes.